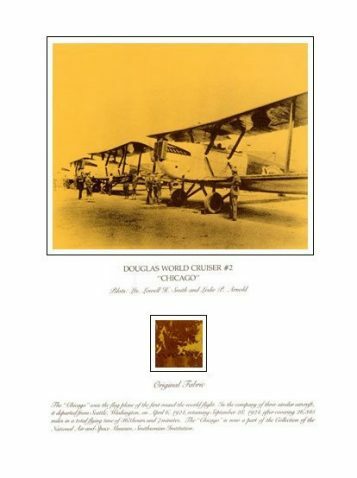 The 4-square inch swatch of the original wing fabric included with this relic print was preserved when the Smithsonian restored the Curtiss NC‑4 before installing it in their permanent collection. 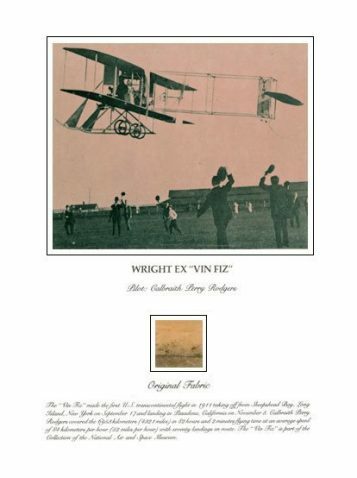 Also included is a Certificate of Authenticity signed by the Deputy-Director of the National Air and Space Museum and 2 pages of colorful historical information on this aviation milestone along with aircraft specs. 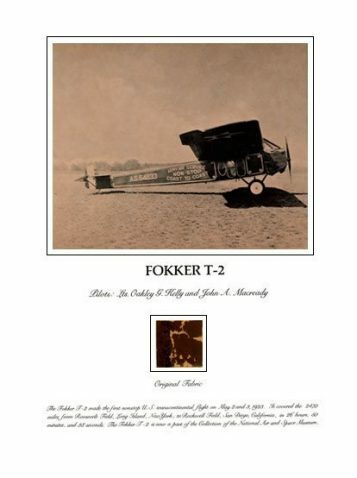 An extraordinary flight and an opportunity to own a piece of early naval aviation history. 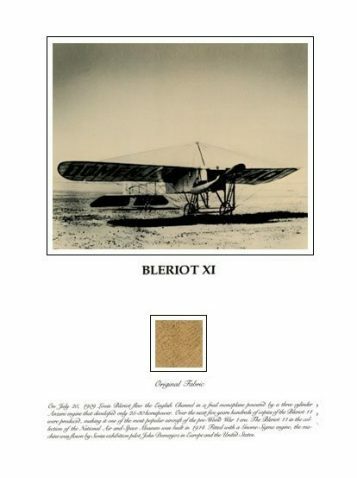 The following description of the Curtiss NC-4 appears on your relic print, just below the original fabric swatch. ●FREE SHIPPING on NC-4 orders for USN and USCG personnel – active or retired. 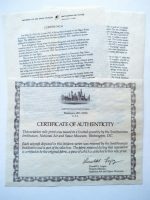 Identify your service on the “CONTACT” link for shipping charge rebate. 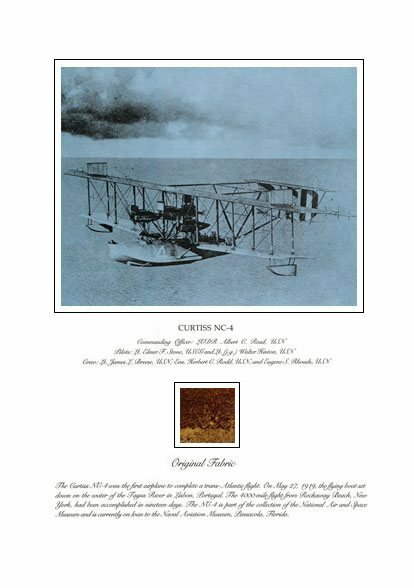 Included with your Curtiss NC-4 relic print is a signed Certificate of Authenticity from the National Air and Space Museum and two pages of historical documentation.